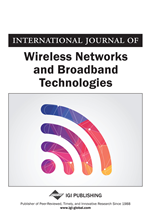 This article describes how recursive spatial multiplexing (RSM) is a closed-loop multiple-input multiple-output (MIMO) structure for achieving the capacity offered by MIMO channels with a low-complexity detector. The authors investigate how to make RSM able to provide a bit-error rate performance, which is robust against different types and levels of interference. The interference arising from simultaneous transmission of information signals is taken into account in the RSM scheme at the receiver using a whitening approach. Here, the covariance matrix is estimated and used subsequently for defining the retransmission subspace identifier to be fed back to the transmitter. The performance of this adaptive RSM scheme is compared with standard linear detection schemes like zero-forcing and minimum mean-squared error receivers. It turns out that the adaptive interference whitening substantially improves the bit-error rate performance. Moreover, adaptive RSM leads to a performance being independent of the correlation coefficient of the interference signals. Multiple-input multiple-output (MIMO) systems are considered as top candidates for achieving high capacity wireless systems. Linear receivers like zero-forcing (ZF) or minimum mean-squared error (MMSE) receivers have low complexity, but in case of an ill-conditioned channel matrix cause noise enhancement. A better performance is offered by other receivers like Vertical-Bell Laboratories-Layered-Space-Time receiver (V-BLAST). The latter uses successive layer-wise decoding, which leads to higher complexity at the expense of error propagation (Loyka & Gagnon, 2004). Clearly, the weak point in the ZF detector is the noise enhancement. In case of a badly-conditioned channel matrix, the small eigenvalues of the channel matrix severely affect the system performance. In (Hunziker, Edlich, & Dahlhaus, 2007), the authors suggest a recursive spatial multiplexing (RSM) structure, which aims to reduce or avoid noise enhancement. To that end, RSM includes a retransmission depending on the projection of the transmitted signal in the previous frame onto a subspace. The dimension of the subspace is chosen based on the small eigenvalues of the channel matrix. Policies are used in order to guarantee a certain level of signal-to-noise ratio (SNR) at the detector input. In (Shah, Hunziker, Edlich, & Dahlhaus, 2010), RSM has been studied with an independent and identically distributed (i.i.d.) Gaussian interference. To investigate how RSM performs in different interference scenarios. Throughout the work boldfaced characters are used for vectors and matrices. The Hermitian transpose of is written as . is the identity matrix, is the cardinality of a set and , denote the determinant of A and expectation, respectively. is the MIMO channel matrix where and are the number of transmitting and receiving, resp., antennas. We assume to be constant over one frame transmission. The elements of the channel matrix are assumed i.i.d. complex Gaussian random variables with zero mean and unit variance giving rise to Rayleigh fading. We assume also that is perfectly estimated at the receiver. being known at the receiver side and variance of the components.